President Barack Obama not only was re-elected after a tough campaign, he was also named Time Magazine's Person of the Year. 17-year-old Pakistani education and women's rights activist Malala Yousafzai, who was wounded by Taliban gunmen earlier this year, finished second. And the second runner-up spot went to a corporate chieftain you might have heard of by the name of Tim Cook. We are being a little facetious of course, because if you read this site, you probably know who Tim Cook is. While the Apple CEO has not had a banner year, Apple's stock has risen in value by 40% since he took over last year from the late Steve Jobs. 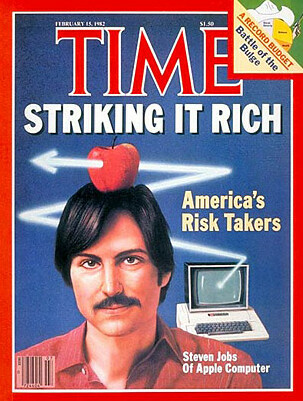 Time even produced a copy of the magazine with Cook on the cover, calling him the technologist. And it was pointed out how opposite the more meticulous Cook is than his predecessor. In fact, Time said of the executive, "he looks like something Jobs would have made. Cook’s flawless cap of white hair could have been designed by Jony Ive and fabricated in China out of brushed aluminum." It also takes a special kind of person to run a company sitting on $120 billion of cash and has a stock market value more than Google and Microsoft combined. We saw a glimpse of the difference between the legendary Jobs and Cook when the latter apologized for the disaster that was Apple Maps, suggesting that iOS 6 users try a competitor's mapping application until Apple Maps is bullet-proof. On the other hand, when the launch of the Apple iPhone 4 brought the Antennagate/Lefthanded death grip antenna attenuation, Jobs' reaction was far from an apology; the CEO told millions of iPhone users that they were holding the phone wrong. When Tim Cook eventually leaves Apple, his legacy could be Apple's move into China. Cook himself says, "It’s a huge market with huge potential with an enormous emerging middle class that really wants Apple products. I think it will be our largest market, over time." It didn't look that way this past January when a delay in opening an Apple Store in the country on the date of the Apple iPhone 4S launch, led to violence. Armed with a new system that gave those who pre-ordered the Apple iPhone 5 an exact time to come into the store to pick up the unit, Apple sold 2 million units in the first three days that the phone went on sale in the country. One thing that Cook will need to figure out is how to get the iPhone in with the world's largest carrier, China Mobile. A proprietary 3G network has kept the phone away from the carrier and China Mobile has turned to the Nokia Lumia 920T, built specifically for the operator's network. But with TD-LTE coming to China Mobile next year, it is hoped that Apple can work something out which would allow the device to be sold on all three of China's major carriers instead of the two it is sold at now (China Unicom, China Telecom). You can check out the entire Time article by clicking on the sourcelink. Are you fu**king kidding me?? Hey winning $1 billion in a bulls**t lawsuit is pretty impressive. I mean him jobs and ive invented the rectangle with square edges. What did Larry Page and google do? It's not like they revolutionized search, created the best mobile mapping service, pioneered voice commands, created a powerful yet affordable nexus line or anything. lol, you forgot to say you were sarcastic Tim Cook had a ground shaking product too, litterally it's Apple Maps. Which he took credit for. Hey, don't forget the 5th row of apps and the 0.5 inch that came free with the screen of the iP5. Or am i reading this article wrong? 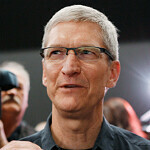 Tim Cook got the runner up place not for what he has done, but for the attention he had. Ikr, I woulda felt better seeing Larry Page as the runner up. Nope u see the cover don't u? 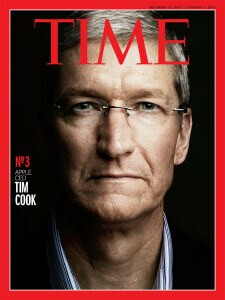 its just a magazine if cook receives a Nobel Peace Prize then the Mayans are right. Dont understand. Why when news praise Apple, it's always a PA's featured news? ... isn't Second Runner-up third place? Obama is also running something much more important into the ground. That must be the basis for winning this "prestigious" award. D@mn straight, also very proud of each of those comments you made. Thank You! I'd say something buts not worth it. Though i'd say this, this mag chooses the same type of people over and over every year. Cook reminds of that head coach that took over the SF 49'ers after Walsh retired. He took the reigns of a Super Bowl winning team and got accolades for all the work that was put in place prior to him being in command. A few years went by and the team went south because he didn't have the skills Walsh had. Give it at least 3-5 years and if he's doing half as good as Jobs, maybe Cook deserves the award, assuming no one has done anything more deserving of the award than just running Apple. First of all, why would Obama get it in the first place? Secondly, their 2nd runner up was a CEO of a technology company that's stock as dropped 200 in just a short couple months. They literally haven't changed a single thing about iOS in 7 years and their mobile products are all exactly the same, just different sizes and are insanely over priced. Time mag. is now discredited. Science!